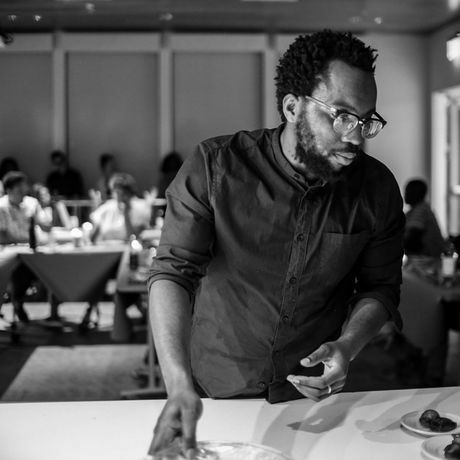 Tunde is a Nigerian immigrant chef/ writer working at the intersection of food and social politics. His work engages systems of exploitative power, particularly race, global capitalism, from the vantage point of the marginalized other. Tunde’s food work has been written about in the New York Times, Washington Post, and NPR. His own writing has been featured in the Boston Globe, Oxford American, and CityLab. He writes a column in the San Francisco Chronicle. We are so grateful that Tunde will be here, inviting us to contemplate how communities are built, maintained, and destroyed. Don’t miss this one. Yet another ridiculously cool spot to be hanging out! Say thanks to the folks at Fort Houston – and stick around for a tour if you like.